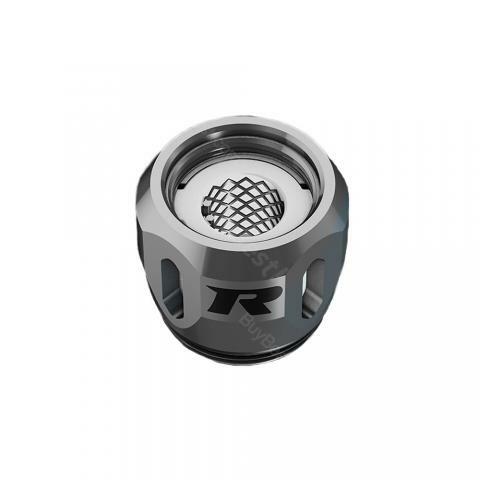 The REV M and S Replacement Coil is designed for Drift II tank and also compatible with Drift tank. Available in M1 0.18ohm, M3 0.15ohm, M4 0.15ohm, S1 0.4ohm, S2 0.15ohm, S4 0.15ohm. 3pcs each pack. 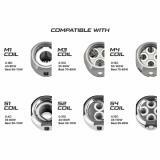 The REV M and S Replacement Coil comes with 6 different style coils - M1 0.18ohm, M3 0.15ohm, M4 0.15ohm, S1 0.4ohm, S2 0.15ohm, S4 0.15ohm. With meticulously engineered mesh patterns, the Rev M coils are fine-tuned to deliver optimal flavor reproduction and vaporization performance. And the S Coil consists of 3 different coils for catering the needs of different vapers. Take the REV M and S Replacement Coil for your Drift II tank and enjoy the powerful vaping. • It's for REV Phantom Kit and REV Drift II Tank. • It's also compatible with REV Drift Tank, REV GTS V2 Kit and REV Nitro V2 Kit. REV M and S Replacement Coil for Drift II 3pcs/pack The REV M and S Replacement Coil is designed for Drift II Tank and also compatible with Drift Tank. It has 6 style coils - R1 0.6ohm (Single Core), nice flavors and great vaping experiences. Ordered 2.07.2018, the goods received 26.07.2018. Fast shipping to the MO, in addition, very efficiently packed, if ordered too valuable or an expensive item. Seller highly recommend!